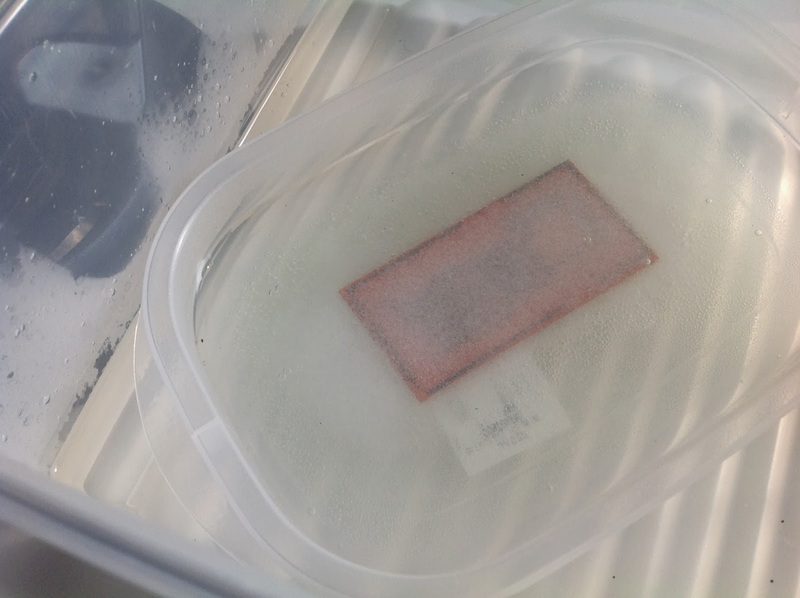 Ok, so this is part 2 on etching a PCB with vinegar. This time it's for real. I printed my design on a glossy grocery add I just received. I used the most glossy and cheapest paper quality I found. Using a paper that feels cheap is apparently good because it will soak up the water and will become pulp more easily when time to be removed. I cleaned up the copper board with one of those synthetic ScotchBrite type of washing sponge so that it was all shinny. You don't want finger grease on the copper. 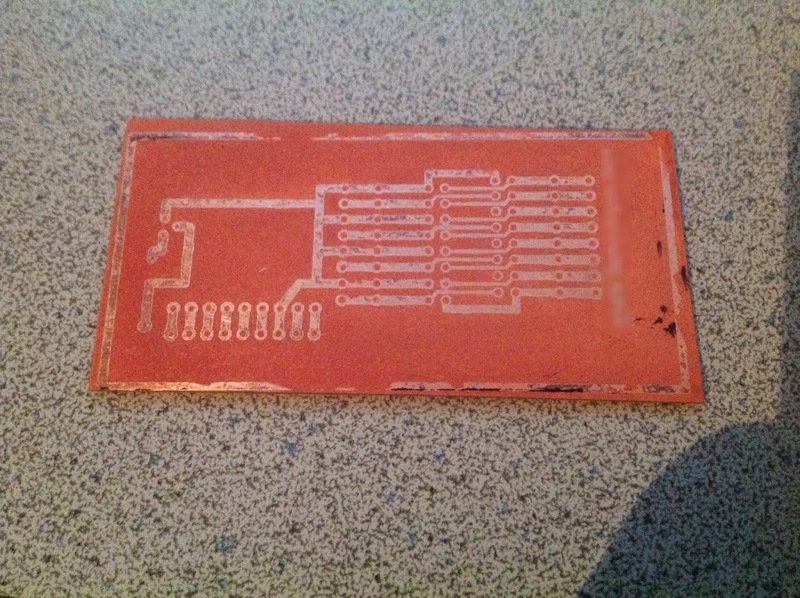 I also cut the copper board to the same size as my PCB artwork. Next I heated my wife iron (don't tell her) at the 'wool' setting. Once ready the first thing to do is warm up the copper board. Leave the iron on it for about 30s. 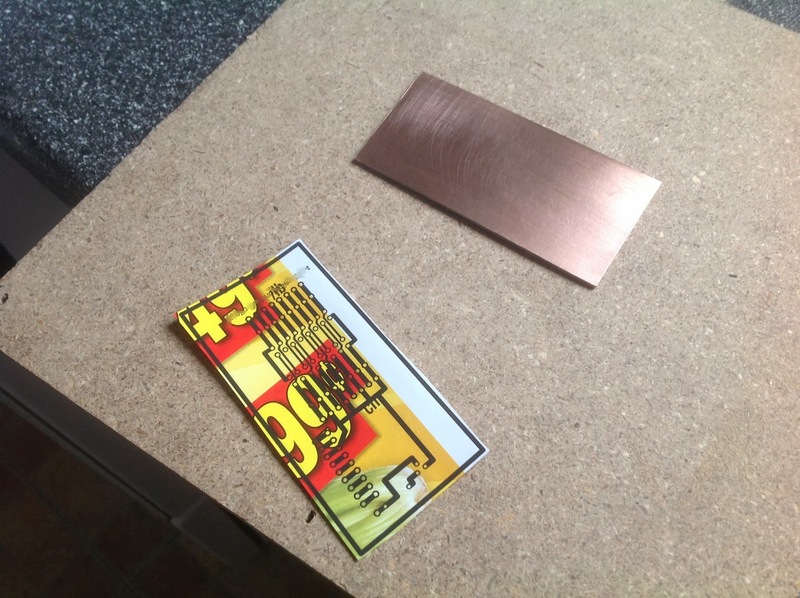 Then flip your printed artwork on the copper surface. 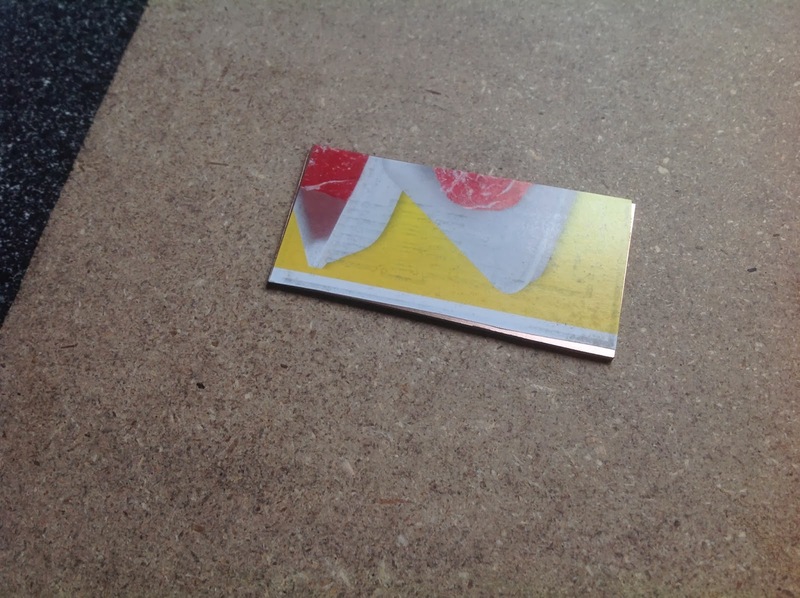 This will somewhat glue the paper to the board so that it does not move when you start moving the iron on it. I then put the iron on the paper and moved it a bit around trying to apply heat everywhere. 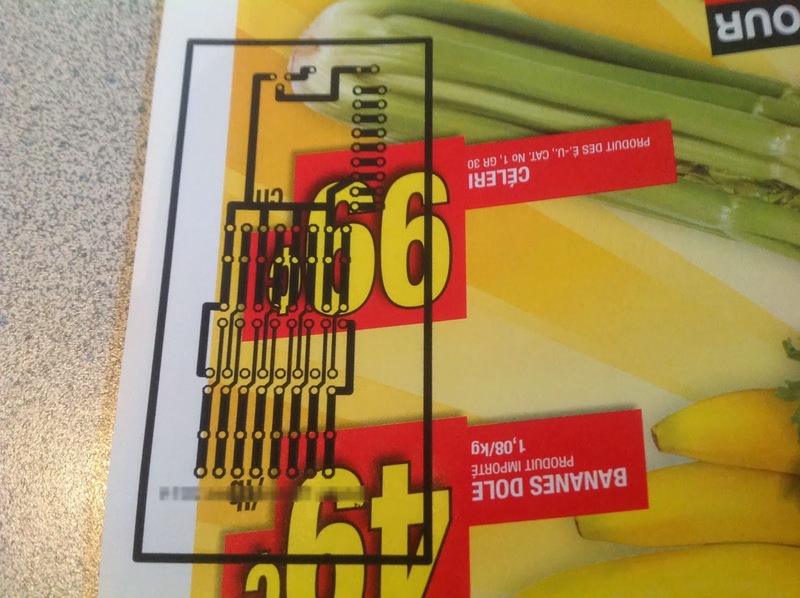 Don't leave it too long or the laser 'ink' will melt and start to somewhat leak from it's original printed layout. While the board is cooling down prepare a recipient with lukewarm water. Once the board is cold to the touch, simply put it in the water. This will make the paper go to a pulp state after a few minutes. When you see that the paper is starting to show air bubble, it's time to start peeling it away. 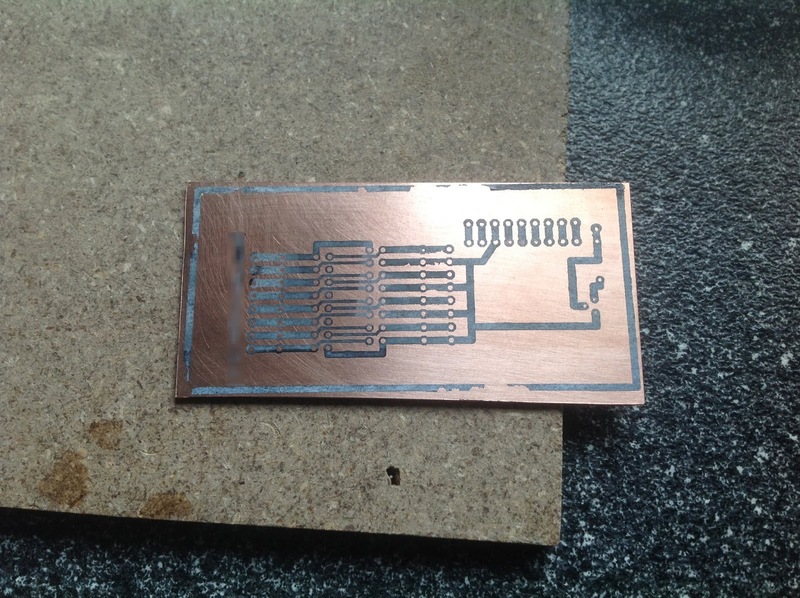 Go gently at first, but I found that the laser 'ink' did adhere very well to the copper. 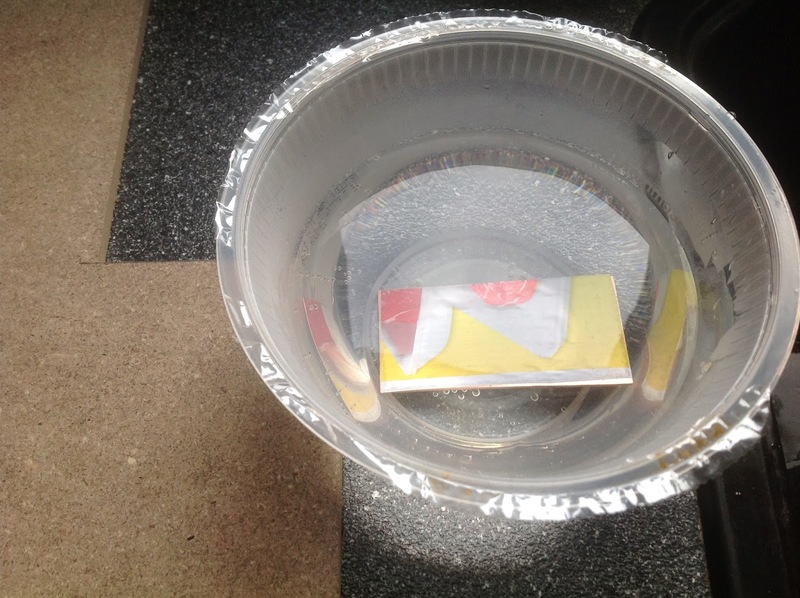 With your finger and the help of the water remove any little piece of paper pulp.